The customers of the German vehicle service chain AUTOPLUS can now make maintenance and repair enquiries directly via the website. This service is made possible by using RMI: AUTOPLUS can thus process the incoming enquiries in a fully automatic way, from arranging an appointment through to processing the payment. 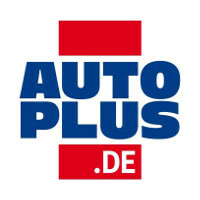 Cord Hecker, CEO at AUTOPLUS AG, is convinced that the possibility of submitting online enquiries at www.autoplus.de offers the customer a great deal of added value. “The workshop customers can select their preferred workshop on our website and state which service they require. If a customer has already registered with us, their vehicle and contact details are used directly. And then the preferred appointment can be selected immediately online. We can provide this service because RMI offers us all the manufacturer information required for repair and maintenance work. This simplifies our work significantly and, in turn, we are able to offer our customers better service,” explains Hecker. The vehicle service chain AUTOPLUS AG operates expert workshops and specialist stores throughout Germany and offers repair, assembly and maintenance work, branded accessories and original parts for all cars.